Toro Rosso becomes the second F1 team to reveal its 2019 challenger in an online launch ahead of the new season. 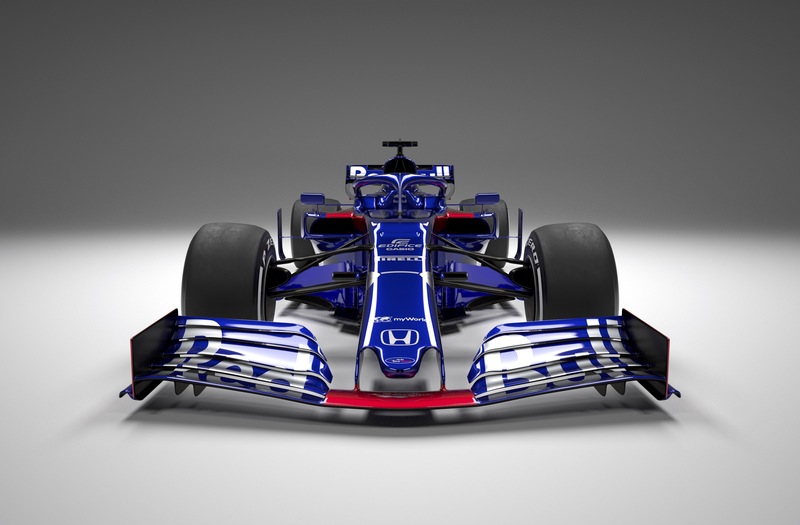 Toro Rosso has become the second Formula 1 team to launch its 2019 car ahead of the new season. The Faenza squad’s latest challenger - the STR14 - features a similar blue and red colour scheme to the last two years. It also provided the latest look at the new aerodynamic regulations coming into force for 2019, including wider and simpler front wings designed to aid overtaking and improve the quality of wheel-to-wheel racing. The online reveal followed Haas’ unveiling of its new black-and-gold livery last Thursday and acted as the first of a host of F1 team launch events this week, with Williams to reveal its 2019 car and new title sponsor later on Monday. Toro Rosso heads into the second year of its engine partnership with Honda looking to improve on its ninth-placed finish in the 2018 constructors’ championship, having been encouraged by the Japanese manufacturer’s gains towards the latter stages of last season. Honda’s progress was enough to convince the Red Bull senior team to follow Toro Rosso’s lead by switching power unit suppliers for the upcoming campaign, with Pierre Gasly being drafted in to replace the Renault-bound Daniel Ricciardo. Gasly’s promotion to Red Bull opened the door for a surprise return to the sport for Daniil Kvyat, while Formula 2 frontrunner Alexander Albon has taken the seat of Brendon Hartley for what will be his rookie season.